With it being the First Advent of December, I knew I had to come up with this recipe and share it with you! 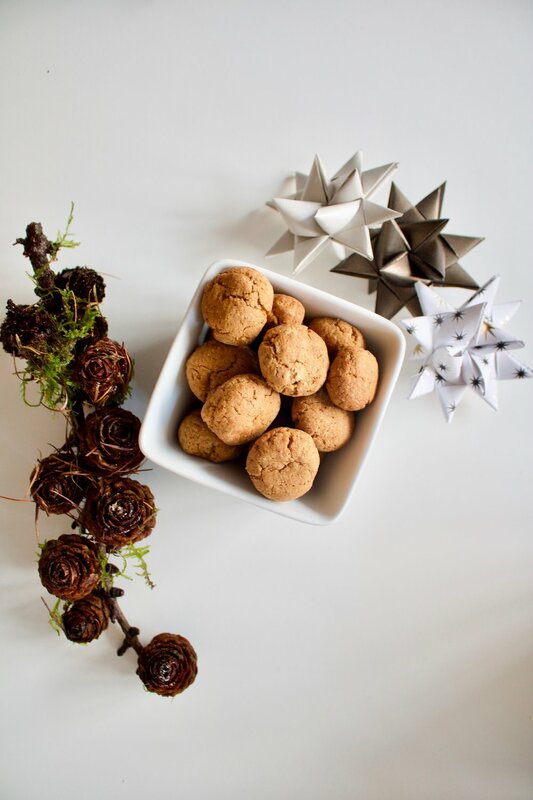 Both to share some Danish tradition and a delicious healthy little cookie. 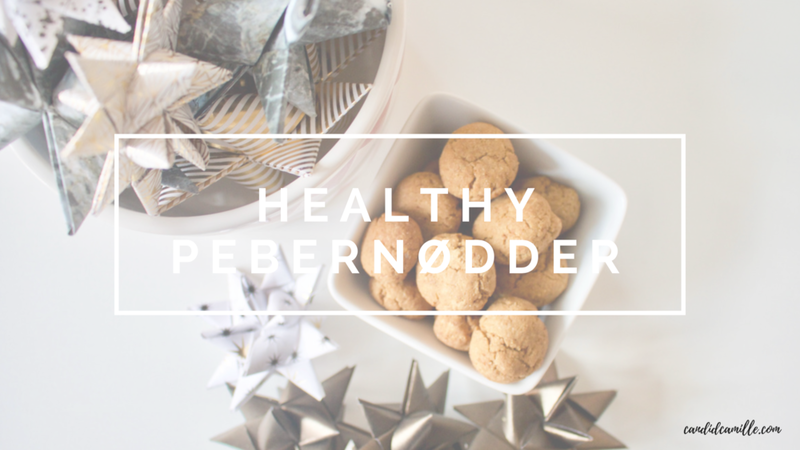 The traditional pebernødder are little spiced cookies that are such a vital tradition. It not only is an essential part of a Danish Christmas, but it reminds me so much of my childhood. Sitting in the kitchen together, making little dough worms and cutting them into pieces. Sometimes forming little creatures or snowmen - because obviously that was a must as a child. It just warms my heart a bit to think back on those memories I guess. Not that I believe that we should healthify everything, especially during the holidays, but I do believe that if you want to or need to due to intolerances, then it is possible to still enjoy your favorite treats. The Holidays can be crazy especially when trying to maintain your health or especially if you are trying to loose weight. So these cookies are just my take on the traditional pebernød but without all of the "bad stuff" (I hate to use that term but for the purpose of this post I will just to give you an idea). These are both an amazing alternative if you can't tolerate gluten or dairy or are simply try to stay away from refined, white sugar (which really we all should try to stay away from 90% of the time). They are also just great as they are, without seeing them as an alternative! These cookies are gluten free, dairy free, refined sugar free and made with super simple ingredients! I am using a gluten free flour mix from Urtekram, which I just stumbled upon and decided to give it a try. It worked great but if you can't get your hands on this you can use any other gluten free flour of choice! :) I could image that almond flour would be amazing! My next attempt will definitely be with almond flour. Give these little Christmas cookies a try and let me know what you think! I love them and genuinly think they are a great substitute!